The next president could nominate as many as four justices to the high court. 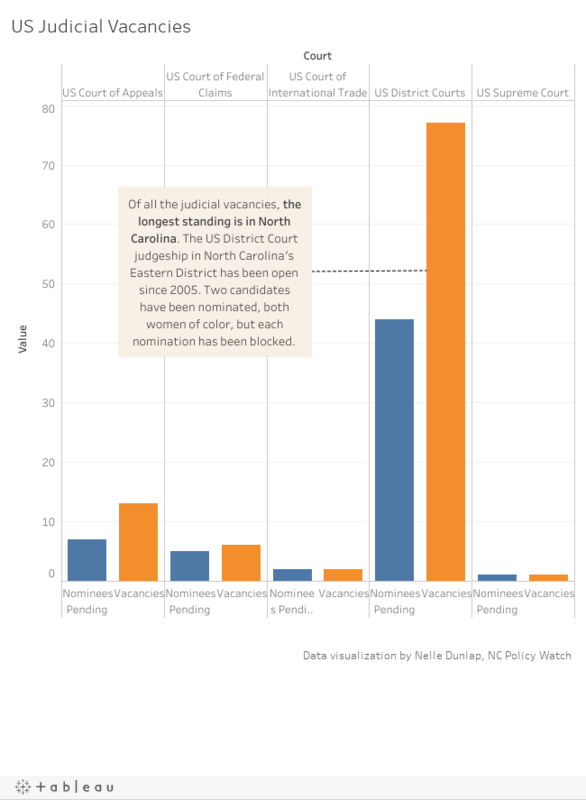 The Supreme Court vacancy may be what’s on voters’ minds currently, but it’s important to remember that there are 99 total federal judicial vacancies with 59 pending nominees – most of which are in the lower courts, where individuals have the most interaction. The longest running vacancy in the nation is in the Eastern District of North Carolina, where Sen. Richard Burr has blocked two nominations.